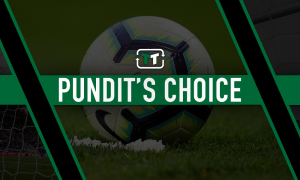 Tottenham would absolutely prove their big club status with move for £81m-rated ace | The Transfer Tavern | Where football transfer rumours fly or die! Tottenham supporters in the Transfer Tavern are very much looking forward to the 2018/19 Premier League season, what with their side seeking to improve upon their third place finish last time round. Mauricio Pochettino’s men deserve great credit for sealing three straight top four finishes in the English top-flight, with the North Londoners now comfortably one of the best teams in the country. However, they ended up a hefty 23 points adrift of champions Manchester city last term to suggest that the title remains quite a way away, although some big signings this summer could go some way to bridging that gap this season. And one man who has been linked with a move to Tottenham in recent times is Gareth Bale, who has reportedly yet to decide his Real Madrid future amid reported concerns he has regarding regular first team football. And with Spurs clearly in need of further additions in a bid to close the gap on City, the £81 million-rated ace (as per Transfermarkt) is one they must seek to bring in, as doing so would absolutely prove their big club status. Ultimately, there is no doubting that Pochettino’s men are now one of the best teams in the country, with City the only side on a longer run of finishing in the top four than the men from North London. However, they remain without a trophy since 2008 and haven’t won the league since 1961, whilst they also do not pay the transfer fees and indeed the wages that the likes of City, Manchester United, and Chelsea do, with many of the opinion that that is the reason why they haven’t been able to win major honours in recent years. Yes, money certainly isn’t everything and doesn’t always guarantee success, but a statement signing like Bale, one that would surely eclipse their record transfer fee for a player of world-class standard, would certainly underline their intentions ahead of the 2018/19 campaign. The Wales international may not have had it all his own way since moving to Real Madrid, but he has still managed an impressive 88 goals in 189 appearances for the Spanish giants, in which time he has helped them to four Champions League crowns. 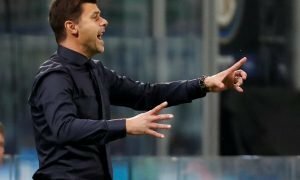 So not only would the 28-year-old bring genuine quality to the Spurs forward ranks, but he’d also add much-needed trophy-winning experience to a side that seemingly lacks that in the big moments – their inability to make their dominance tell against Juventus back in March being a prime example. And while chairman Daniel Levy may want to stick to a tight wage structure, those types of players cost a lot of money – the sort of money Spurs may need to spend to seriously compete with Pep Guardiola’s City in England, and indeed the best clubs in Europe. As such, with Bale reportedly unsure over his future at the Bernabeu, Tottenham must seek to make a move to absolutely prove their big club status.